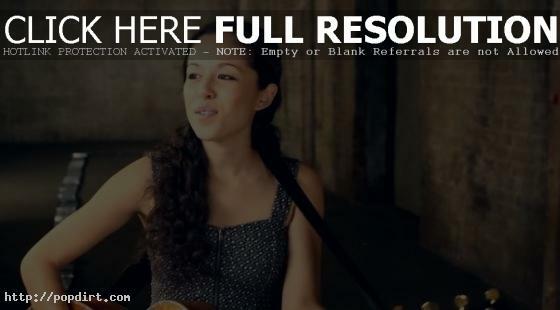 February 8, 2010 – Kina Grannis is out with the music video to her new single ‘Valentine’, which is available for free download at her official web site, kinagrannis.com. The song is off her upcoming album ‘Stairwells’, out February 23rd. January 29, 2010 – Kina Grannis was joined by her sisters Misa and Emi in her latest YouTube cover performance, taking on ‘God In My Bed’ by K’s Choice. “After MUCH back and forth with the manufacturer, I think we are finally going to press,” Grannis writes. “For a moment there I was worried they weren’t going to be printed in time. but it’s all good to go now. I’m kicking into gear now as there is LESS than a month before ‘Stairwells’ is released.” Watch it below.